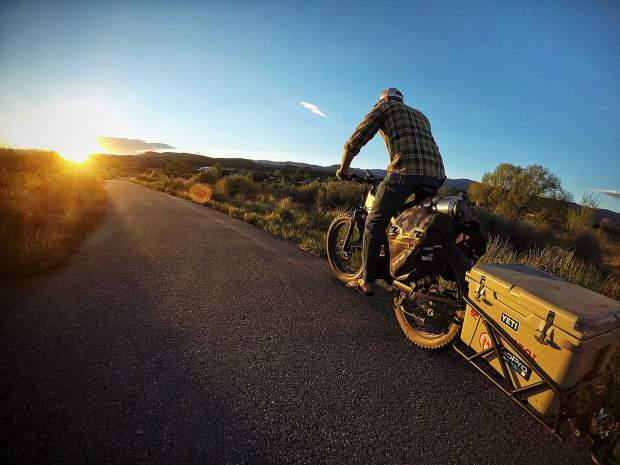 An outdoorsman tows a cooler behind an e-bike from QuietKat, a manufacturer based in Eagle since 2012 with consumer-grade machines since 2014. As the e-bike industry booms, local and national officials are struggling to implement rules for shared dirt and paved trails in mountain communities like Summit County. Jake Roach of QuietKat e-bikes believes Colorado is a prime location for the birth of a new biking industry — and so do state officials. To open the conversation about e-bikes and more, Colorado Parks and Wildlife is hosting a full weekend of free outdoor recreation on the Front Range this fall. The goal is simple: introduce Coloradans to the new and classic opportunities the outdoors can offer, from e-bikes and stand-up paddleboards to hunting, fishing and backpacking. All activities are open to participants of all ages. Simply show up and browse expo items. For more info, see CPWOutdoorAdventure.com. There’s a new biking trend on the rise, and if Jake Roach has his way, you won’t even hear it coming. Welcome to the nearly silent world of e-biking, a growing segment of the sprawling cycling market that bridges the gap between human-powered bikes and motorized machines with loud, meaty engines. This growing segment of the industry is all about convenience and access, featuring bike frames with integrated motors of less than 750 watts designed to make ascents easier than usual, descents just as fun as ever and long distances seem much shorter. “It’s stealth, it’s silent, it’s about enjoying and not interrupting nature, which leads to a better experience in the great outdoors,” said Roach, an outdoor industry veteran of more than a decade who’s currently based in Eagle. Since 2012, he and his brother have owned an e-bike company, QuietKat, which cracked into the market with models made for hunters, anglers and other outdoorsman who have long used noisy ATVs and four-wheelers to access deep stretches of the backcountry. The current line of QuietKat machines is the “next generation” of e-bikes, he said, with components, batteries, frames and motors designed solely for e-biking. These aren’t Frankenstein-ed together from standard mountain bikes and modified dirt bike motors — they’re something entirely different. But different is rarely easy. Since entering the consumer market in 2014, Roach and QuietKat have faced a new kind of business hurdle: government regulations. As the e-bike movement continues to grow — e-bike sales jumped by 70 percent in the U.S. last year while the rest of the cycling industry stayed relatively static, Roach said — local and state governments have struggled to keep up with the trend. Rules across the state are fuzzy about where e-bikes can be, with different laws from county to county and town to town. Here’s how the trend sits now: E-bikes aren’t allowed in National Parks or wilderness areas, just like mountain bikes. 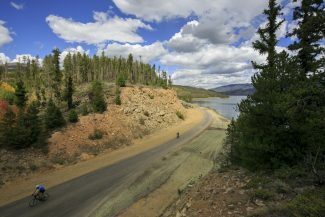 They also aren’t technically allowed on most bike and hike-only U.S. Forest Service trails. 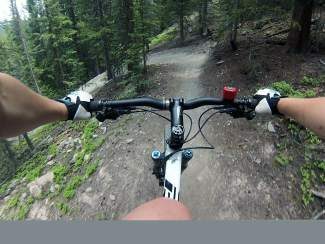 The town of Crested Butte recently debuted an 18-mile trail made solely for e-bikes, while QuietKat’s hometown of Eagle is willing to work with e-bikers yet has no official laws on the books. 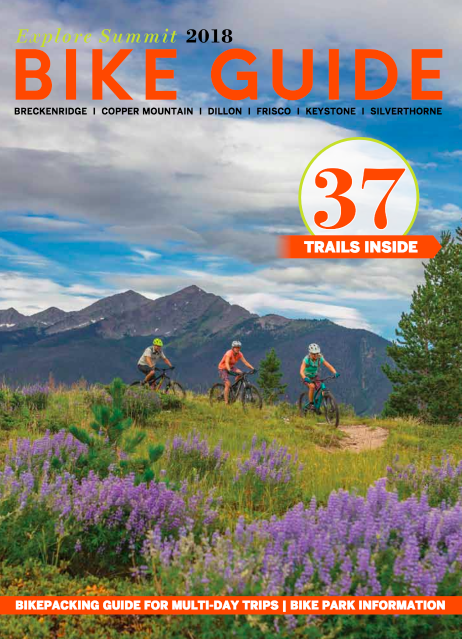 A Breckenridge franchise, Pedego, leads guided e-bike tours on town and county-owned paved recreational paths, but the tours don’t venture onto any town-owned dirt trails — yet another gray area in Summit County. After hearing a QuietKat presentation at Elevate CoSpace in Frisco this July, the Summit Daily sports desk caught up with Roach to learn more about his company, the e-bike trend and what it will take to get motorized bikes on Summit County trails. Summit Daily News: Let’s start at the very top and talk about the e-bike trend. How did it get started? Jake Roach: There are two parts to the trend. The first is that by 2020, 30 out of 100 Americans will be 65 (years old) or older. The nature of getting older and having the disability of age means that if you continue to recreate and enjoy life’s wonders, you’ll be helped along with an e-bike. This will take you into the great outdoors, give you a great experience, and then you want to do it again and again and again, and there is a huge economic impact there. People buy food and camping gear and everything else they want to enjoy the outdoors. … The thing is, this older demographic wants a way to get into the outdoors, and I believe that the trickle-down effect of allowing more of these sorts of vehicles is only advantageous. On the other side — the Millennial side, the people moving to Colorado — they won’t use e-bikes just for access, but they’re on the side of being green and having low impact. They don’t even want to start a car because of the impact it has on the environment. If someone from this age group can have a low-impact vehicle, that’s another big advantage. The third for us is the hunting and fishing community. It’s about getting to areas where you want to be to enjoy your activities and getting there efficiently can be hard. You might do it once on a mountain bike, but you won’t do it over and over. I went mountain biking to an elk hunting spot once, and even though I enjoyed it — I thought, “This is great, it was so serene,” — I wasn’t sure if I wanted to do it five or six times a year. It was really hard to get up that trail with all my gear and just me. But if I have an e-bike, something that can easily get me around, I’ll be more willing to go out more often. SDN: Why do you think e-biking is the transportation of choice for these demographics, instead of an RV or some other, more traditional vehicle? JR: An RV or a camper can get you to the trailhead, but that’s as far as it will go. An e-bike is a modern-day horse — it gets you where you want to go in the backcountry. RVs and campers are also invasive, right? Animals and everything else will hear you as you’re coming along and you won’t have the same experience. Another thing is the machines and engines themselves. Five years ago, you would’ve taken an e-bike into the backcountry and ended up walking it out. A few years ago, it was something you slapped onto an average mountain bike, with these wires and battery packs and other stuff you had to add to a regular bike. Now, the technology is more integrated into the bike. SDN: What do you think sets QuietKat apart from the rest of the e-bike field? JR: Our big niche is the hunt, bullet, fish community — the backcountry access. Right now, our company is not about building trail bikes that are made for singletrack, but a parallel market is the performance market. A perfect example is that two days ago I rode up Vail Mountain on my mountain bike to ride the singletrack down. That’s not something your average tourist is doing … E-bikes help you utilize the power you want to get uphill, but they’re now made well enough to basically be a downhill mountain bike. An average downhill bike weighs 40 or 45 pounds, and a typical performance e-bike is about the same. 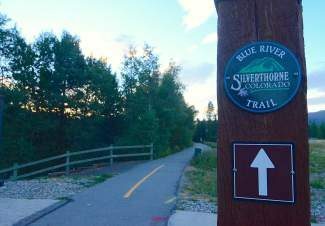 SDN: What’s the biggest market for e-biking in Summit County and the Colorado mountains right now? JR: Tourists are really big on enjoying the downhill, but they don’t often want to do the uphill. The altitude can be killer up here. An e-bike gets you up some of these more difficult routes and trails so you can enjoy what everyone else is enjoying, even if you aren’t used to it. Soon, Quiet Kat is getting into the performance market, with full-suspension like you’d see on a Yeti (mountain bike) or something else. 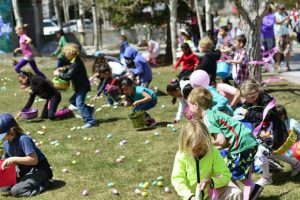 SDN: Why are mountain communities like Summit and Eagle counties the best places to grow your product? JR: The Colorado outdoor recreation industry has been so good. They’re trying to align themselves to be the No. 1, undisclosed location for recreation, and with e-bikes this allows more people to get out and enjoy the outdoors. The elements that Colorado has, including Summit and Vail and every single mountain town, allows for growth, and not only growth for people who love bikes in general, but it also allows your dad to go out with you on some of these cool rides he couldn’t do otherwise. From the level of bonding and relationships, whether father-son or coworkers, everyone can go out and have an experience together. E-bikes sales were up by 70 percent last year when bicycle sales were flat, so growth is another big part of this. It has been astronomical. SND: What is it going to take for e-bikes to continue growing, both as an industry and a part of the cycling community? JR: I think it’s well-designed government rules about access and public lands. I’m not a proponent that they should be everywhere. They should have different classes of trails, like they have different classes of bikes, right? Certain trials could be regular biking only — call it Class One — others could be bikes and e-bikes — a Class Two — still others could be e-bikes and regular bikes and motocross. 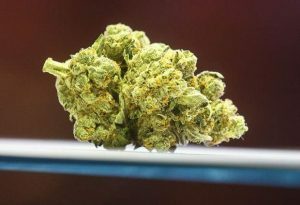 There just needs to be more guidance about what is allowed on public lands and more local input on how that will look. You look at so many double-track roads in the mountains that were developed for logging and everything else, and there’s really no reason that I see why e-bikes can’t be allowed on those. You have trails lately that have been built solely to be singletrack and those should stay just for mountain biking, but there are so many types of trails out there. 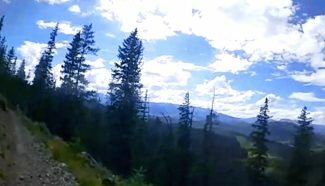 And there really is no way that an e-bike can beat up a trail, a downhill trail like Mamba on Vail Mountain, more than a regular bicycle.